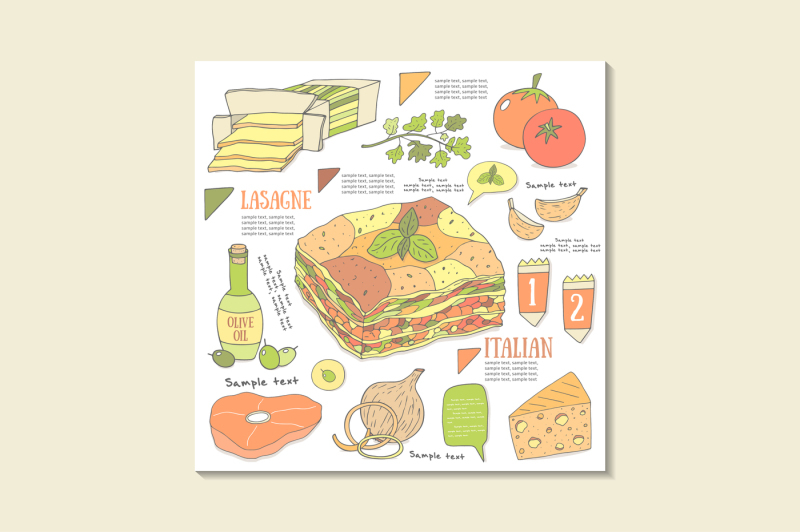 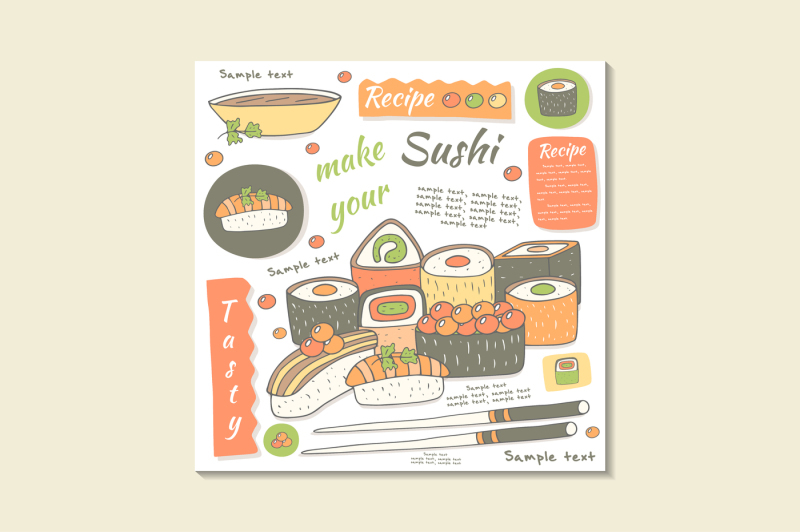 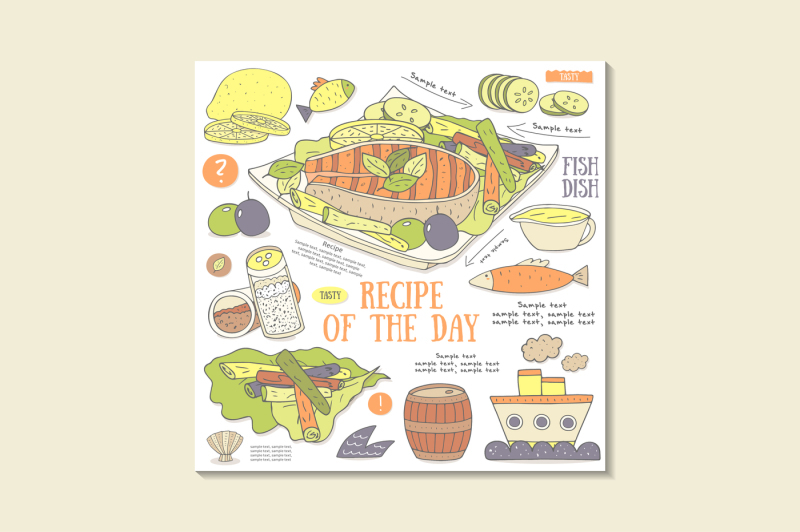 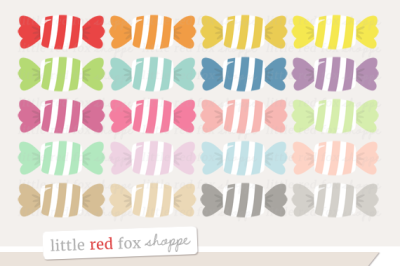 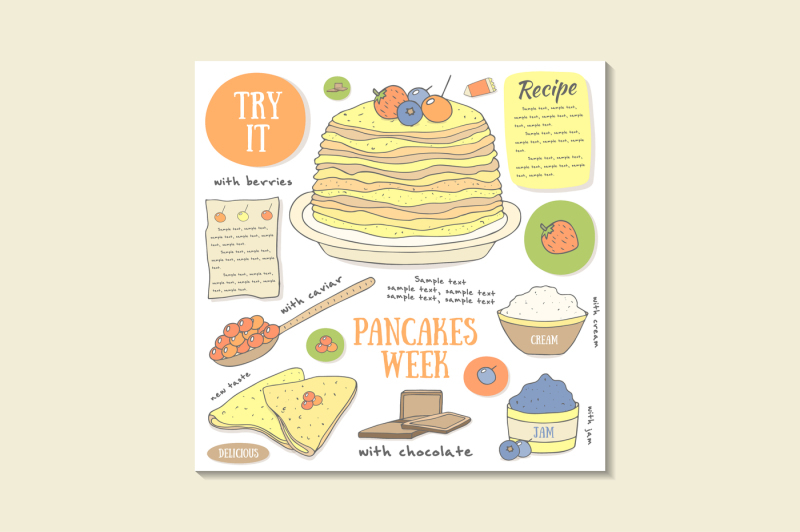 Cute hand drawn doodle food infographic with fish steak, breakfast food, lasagne, pancakes, sushi and lots of design elements for your design. 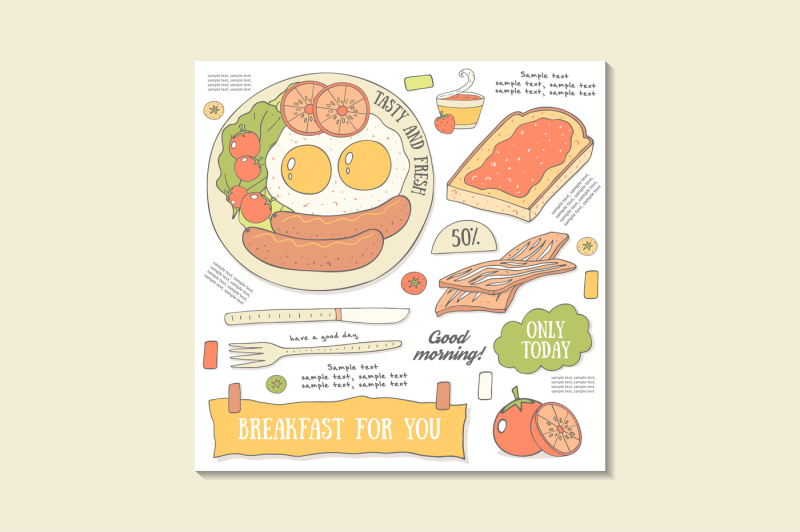 5 EPS files with food shown as on sample pictures, size 3000x3000 px. 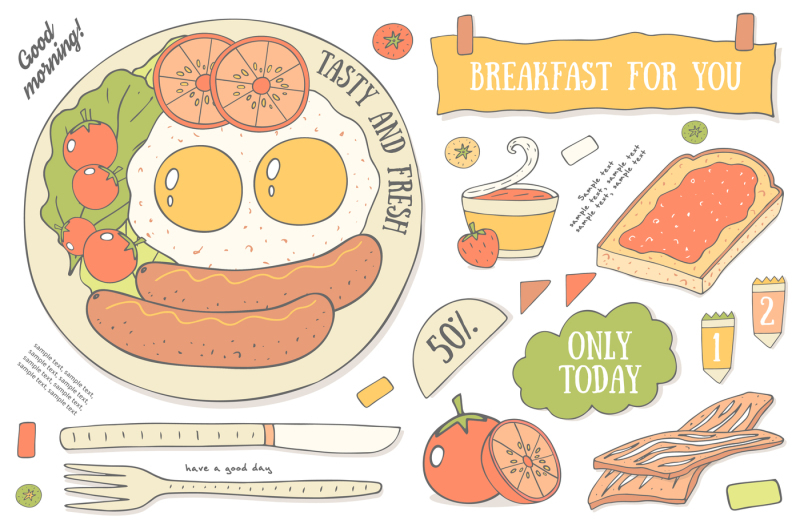 5 JPG files with food for preview.